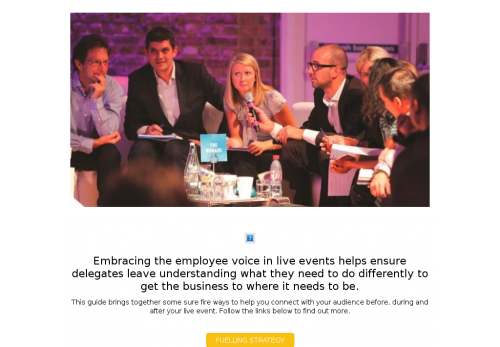 Embracing the employee voice in live events helps ensure delegates leave understanding what they need to do differently to get the business to where it needs to be. This guide brings together some sure fire ways to help you connect with your audience before, during and after your live event. Follow the links below to find out more.